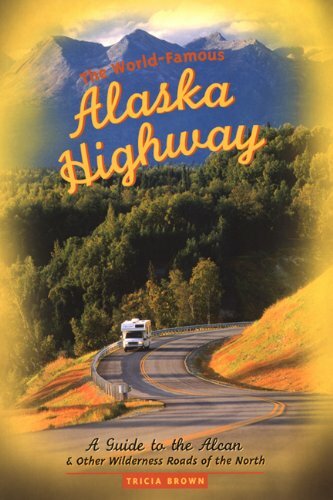 The World-Famous Alaska Highway A Guide to the Alcan & Other Wilderness Roads of the North - 2000 publication. Calling something "World Famous" doesn't make it world famous, but the Alaska Highway actually is known around the world. Mention the name or its familiar nickname, "The Alcan" and somebody in the crowd has driven it or has always wanted to "do" the highway. And why not? This amazing road through the northern reaches of Canada and into Alaska has cast a spell on the motoring public for more than sixty years, ever since it was hurriedly built in 1942. After World War II, with the opening of the road to civilians, Alaska was finally a drive-to destination, and the stream of tourists hasn't stopped. About Tricia Brown (Author) : Tricia Brown is a published author. Published credits of Tricia Brown include Alaska Homesteader's Handbook, The City By the Bay, Hello, Amigos!, and hello, amigos!.